The cruise terminal in Brooklyn has departures by some of the world's largest cruise ships. Today's mega-ships outgrew the ship terminal in Manhattan, so the city opened the port in Red Hook. Thousands of passengers leave on Brooklyn cruises every year. Cruises from Brooklyn are easy to get to from Manhattan and from all over the region. And the borough has more attractions for cruise passengers than you might think. From Coney Island to the Botanic Gardens, Brooklyn has plenty to explore before or after your voyage. 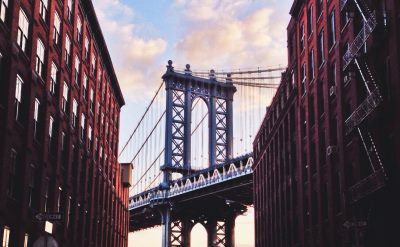 The restaurants of Brooklyn Heights, art in DUMBO, the Brooklyn Museum in the Slope, and the nightlife of Williamsburg are all part of the new Brooklyn charm. In the autumn, Princess Cruises offers Caribbean cruises from Brooklyn. These wonderful voyages are on the big Caribbean Princess cruise ship. The famous Queen Mary 2 also offers cruises to the islands from Brooklyn. The cruises sail in December. The Queen Mary 2 is the only ship offering regularly scheduled transatlantic service. 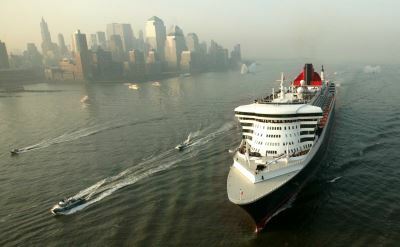 The QM2 makes one-way cruises from Brooklyn to England. It's the civilized way to cross the Atlantic. The ship also offers round-trip cruises from New York to Europe. 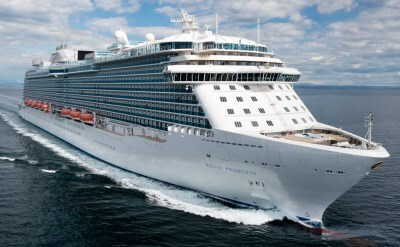 The Princess Cruises from Brooklyn to Canada and New England depart in September and October. See the fall foliage on stops in ports like Halifax, St John, Bar Harbor, Boston and Newport. Brooklyn is ready to be the departure port for your next vacation. 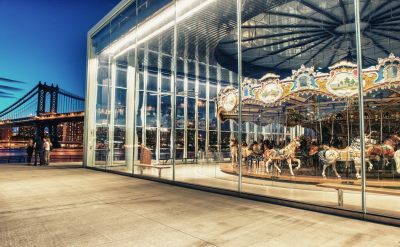 Thousands of travelers have already experienced not only a first-class cruise terminal but also the wonderful neighborhoods, restaurants and entertainment in Brooklyn. Have fun; explore the world on a Brooklyn cruise.